Living a Fit and Full Life: Help Your Child Become a Successful and Confident Reader with the Square Panda Learning System! Help Your Child Become a Successful and Confident Reader with the Square Panda Learning System! Research shows that early and on-going exposure to letters, syllables, sounds and other reading fundamentals, will help your child become a confident reader. Your child will learn naturally and stay engaged longer when learning is fun and play-based. Phonics is the ‘gold standard’ for teaching children the fundamental skills that lead to reading. Research suggests that optimal learning happens when children use multiple senses, such as sight, sound AND touch. 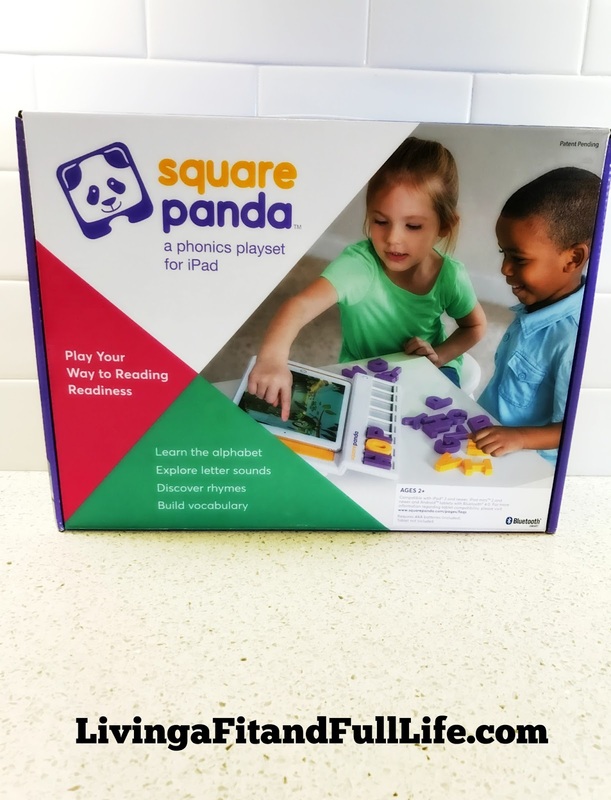 Square Panda Home Edition is a multisensory phonics learning system that turns your tablet into a tool to ignite your child’s love of reading. Young learners play their way to reading fluency by engaging with tactile smart letters and a library of research-based learning games. 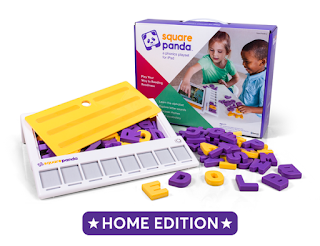 Square Panda guides children through their play experience as they learn the alphabet, explore letter sounds, discover rhymes and build vocabulary. Turn your child into a fluent reader and build their foundation for future learning. Help your child become a successful and confident reader with Square Panda! As a homeschooling mom I can honestly say that Square Panda is a phenomenal product! I've been working with my 5 year old on her letters and phonics and we've been having such a hard time because she gets bored and is completely disinterested. She watched a video about Square Panda and literally begged me to get it for her. As soon as it arrived we downloaded some of the apps and she began. She was completely in love with learning! I absolutely love how interactive it is and that it keeps her attention. I also love that I'm seeing some major improvement and she's even begun to read short words on her own. The Square Panda Learning System really is an amazing tool to help kids play their way to reading fluency by engaging with tactile smart letters and a library of research-based learning games. Square Panda guides children through their play experience as they learn the alphabet, explore letter sounds, discover rhymes and build vocabulary. The Square Panda Learning System is the perfect way to encourage little ones to learn and I highly recommend it! Click HERE to purchase on Barnes & Noble! Click HERE to learn more about Square Panda! Follow Square Panda on social media!